Paul J. Angiolillo, Professor of Physics, graduated from Saint Joseph’s University with a BS in Physics. He then attended The University of Pennsylvania and obtained an MS and Ph.D. in Molecular Biophysics at the prestigious Eldridge Reeves Johnson Research Foundation. After some years in the private sector, he ultimately found his way back to academia, first at the University of the Sciences (also in Philadelphia). He joined the Department of Physics at SJU in 2000, where he has been ever since, serving as Chair of the department from 2007 to 2015. 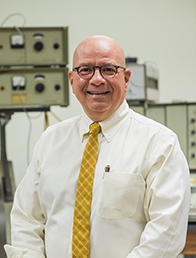 Dr. Angiolillo has an active research program in the area of materials physics. He specifically studies charge and spin dynamics in conjugated organic electronic materials and has published extensively in this area. Dr. Angiolillo and the McNulty Scholars Program have close ties since the program’s inception. He was a seminal member of the program’s selection committee and served on that committee for the program’s first five years. He has served as both a faculty mentor to the program’s first physics scholar, as well as a research mentor to a fellow who graduated in the Class of 2016. He is enthusiastic and delighted to now be serving as the McNulty Scholars Program Director. 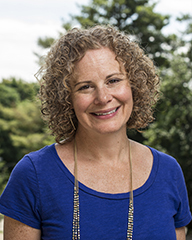 Shani Nuckols joined the McNulty Scholars Program in January 2014, and is responsible for the organization and implementation of program events, activities and meetings. She brings more than 10 years of experience in non-profit development, most recently working at Barnard College in New York City.